"I am learning every day to let the space between where I am and where I want to be to inspire me and not terrify me." Feel free to add me as a friend! I check my newsfeed fairly often so I can rate doll albums and buy wishlist gifts. The Wanderer's Emporium is my humble little main site shop that has been changing and growing along with me over the years. I like to design in a variety of styles and encourage dress-up creativity through mix-and-match items. Thank you all for your support thus far, you inspire me to keep creating! Apr 18 thewanderlust stock portfolio has earned them 10040 style. Apr 11 thewanderlust stock portfolio has earned them 12545 style. Apr 04 thewanderlust stock portfolio has earned them 11215 style. Mar 28 thewanderlust stock portfolio has earned them 12525 style. Mar 21 thewanderlust stock portfolio has earned them 11900 style. Mar 14 thewanderlust stock portfolio has earned them 10240 style. Mar 07 thewanderlust stock portfolio has earned them 11140 style. Feb 28 thewanderlust stock portfolio has earned them 13530 style. Feb 21 thewanderlust stock portfolio has earned them 9200 style. Feb 14 thewanderlust stock portfolio has earned them 12985 style. Feb 07 thewanderlust stock portfolio has earned them 9475 style. Jan 31 thewanderlust stock portfolio has earned them 9860 style. Jan 24 thewanderlust stock portfolio has earned them 9475 style. Jan 17 thewanderlust stock portfolio has earned them 14405 style. Jan 10 thewanderlust stock portfolio has earned them 11720 style. Jan 03 thewanderlust stock portfolio has earned them 21285 style. Dec 27 thewanderlust stock portfolio has earned them 25970 style. Dec 20 thewanderlust stock portfolio has earned them 26995 style. Dec 13 thewanderlust stock portfolio has earned them 28115 style. Dec 06 thewanderlust stock portfolio has earned them 19590 style. Nov 29 thewanderlust stock portfolio has earned them 9975 style. Nov 22 thewanderlust stock portfolio has earned them 11420 style. Nov 15 thewanderlust stock portfolio has earned them 11750 style. Nov 08 thewanderlust stock portfolio has earned them 10945 style. Nov 01 thewanderlust stock portfolio has earned them 14070 style. Oct 25 thewanderlust stock portfolio has earned them 14420 style. Oct 18 thewanderlust stock portfolio has earned them 14200 style. Oct 11 thewanderlust stock portfolio has earned them 10515 style. Oct 04 thewanderlust stock portfolio has earned them 10120 style. Sep 27 thewanderlust stock portfolio has earned them 12750 style. Sep 20 thewanderlust stock portfolio has earned them 10420 style. Sep 13 thewanderlust stock portfolio has earned them 12165 style. Sep 06 thewanderlust stock portfolio has earned them 13665 style. Aug 30 thewanderlust stock portfolio has earned them 7840 style. Aug 23 thewanderlust stock portfolio has earned them 6310 style. Aug 16 thewanderlust stock portfolio has earned them 8700 style. Aug 09 thewanderlust stock portfolio has earned them 2935 style. Aug 02 thewanderlust stock portfolio has earned them 7875 style. Jul 26 thewanderlust stock portfolio has earned them 8720 style. Jul 19 thewanderlust stock portfolio has earned them 8685 style. Jul 12 thewanderlust stock portfolio has earned them 6905 style. Jul 07 thewanderlust has a birthday today. Jul 05 thewanderlust stock portfolio has earned them 6950 style. Jun 28 thewanderlust stock portfolio has earned them 5560 style. Jun 21 thewanderlust stock portfolio has earned them 3940 style. Jun 14 thewanderlust stock portfolio has earned them 5415 style. Jun 07 thewanderlust stock portfolio has earned them 5435 style. May 31 thewanderlust stock portfolio has earned them 12125 style. May 24 thewanderlust stock portfolio has earned them 12095 style. May 23 thewanderlust won a trophy for 1st Place Prom Pulse Cover. May 20 thewanderlust won a trophy for 3rd Place Lovely Bouquet Prom 2018. May 17 thewanderlust stock portfolio has earned them 15350 style. May 11 thewanderlust has updated their profile. May 10 thewanderlust stock portfolio has earned them 15995 style. May 06 thewanderlust has saved a new doll to their album. May 05 thewanderlust has saved a new doll to their album. May 05 thewanderlust has won 1st place in the Gothic Disney Princess GOC. May 04 thewanderlust has won Voting Bingo. May 04 thewanderlust has saved a new doll to their album. May 03 thewanderlust has saved a new doll to their album. 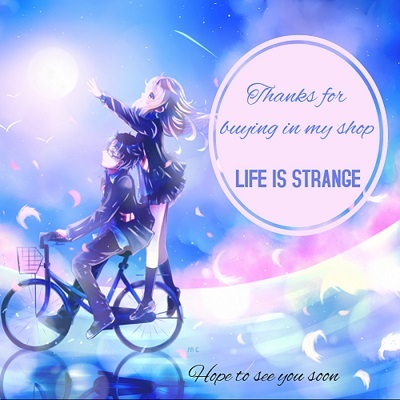 May 03 thewanderlust bought Life is strange stock. May 03 thewanderlust bought Fallen's Fashions stock. May 03 thewanderlust has won Voting Bingo. May 03 thewanderlust bought lifesize~ stock. May 03 thewanderlust won a giftcard for casting 2500 votes today. May 03 thewanderlust bought Freesya\'shop stock. May 03 thewanderlust has updated their profile. May 03 thewanderlust bought Layz Design stock. May 03 thewanderlust stock portfolio has earned them 11785 style. May 03 thewanderlust finished rank 10 in the Battle Ladder. May 03 thewanderlust has won 3rd place in the Arent You a Doll GOC. May 02 thewanderlust won a giftcard for casting 2500 votes today. May 02 thewanderlust has won Voting Bingo. May 02 thewanderlust has saved a new doll to their album. May 02 thewanderlust has updated their profile. May 02 thewanderlust has won 3rd place in the Zen Moment GOC. May 01 thewanderlust won a giftcard for casting 2500 votes today. May 01 thewanderlust has saved a new doll to their album. Apr 30 thewanderlust has updated their profile. Apr 30 thewanderlust has won 2nd place in the Clashing Colors GOC. Apr 29 thewanderlust has saved a new doll to their album. Apr 29 thewanderlust has won 1st place in the A Day At The Zoo GOC. Apr 28 thewanderlust has saved a new doll to their album. 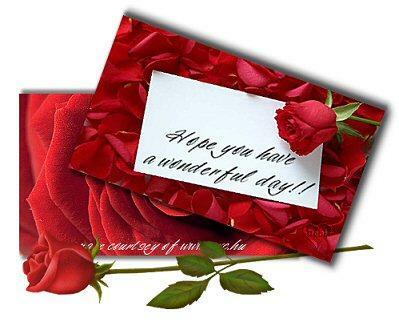 I hope you had a wonderful day my sweet friend. Happy Birthday Christa! I hope you're okay, I'm missing you! Thank you so much for your gift!!! youre so sweet. Just wanted to stop by and say I adore your current diva!!! 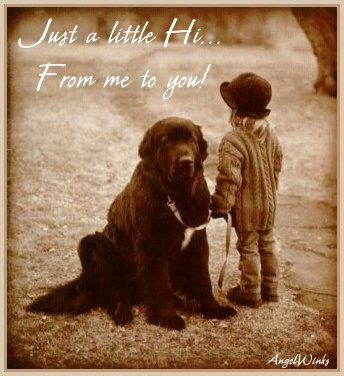 Super cute!!! Oh! I love how your profile looks, I wish I could get mine to look like this.